Limited Easter Sale - 100£ Off All Beds! Spaced In Cabinet Makers make beautiful built in furniture - just down stream in the marginally less romantic Goat Road industrial estate in Mitcham! We specialise in a small but perfectly formed range of classic designs for bedrooms and living rooms. These include alcove storage, TV display shelving, wardrobes and walk in wardrobes, with built in LED lighting if desired. Whether you’re looking for a decoratively panelled Victorian style, plain panelled Shaker or flat fronted minimal designs, we craft and spray finish them in our workshop. They are bespoke to your home, including your sizing requirements and any choice of colour you like. We use tools and techniques as old as carpentry alongside modern materials and technology with the simple ideal that fine craftsmanship should be as affordable as possible. The huge benefit of our crafting process is that it hugely reduces the time and mess in your home: limited cutting and no painting in situ means that we’ll be started and finished by the time you get home from work. Apart from your beautiful new storage, you’d never know we were there! Call us today to discuss your ideas. Fishpools store is the largest quality furniture shop in the south east with a reputation for great products, good value, decades of expertise and first class service. Our huge inspirational store is just off the M25 Junction 25. From sofas to dining, bedrooms to beds, home office to home furnishings & accessories, we have a huge choice in store and online at fishpools.co.uk. 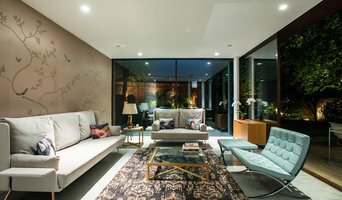 The Interior Design Service at Fishpools is here to make any project as effortless as possible. Our specially trained, highly experienced and friendly Interior Designers are on hand to help create an inspiring individual home. For full details of our Interior Design Service Options please click here. The Sofa & Chair Company is one of the UK’s leading producers of luxury made-to-order furniture. From bespoke sofas to occasional chairs, we design, manufacture and upholster expertly handcrafted furniture with unparalleled lead times and an abiding commitment to quality British craftsmanship. We were founded in 2002 as a direct response to interior designers and discerning customers in need of unique and beautifully made furniture crafted exactly to their requirements. Today, we continue to help people realise their creative visions for interior projects, producing perfect bespoke pieces using time-honoured manufacturing practices and only the finest materials. From fabrics and finishes to specific measurements, every piece in our collection is made to order and entirely customisable. Whether you’re looking to commission a truly one-of-a-kind piece or simply to change the fabric of an existing model in our collection, no project is too modest or too ambitious. Our West London showroom boasts one of Europe’s largest collections of luxury interior products and is home to the UK’s largest fabric library. From the finest wools and linens to the most beautiful satins and silks, our vast collection allows us to deliver an unparalleled choice to our clients. Founded in 1990, John Hitch Seating has become London’s leading name in exceptionally crafted eclectic furniture design. The premium quality and creative nature of our pieces has established our position as first choice for notable London-based Interior Designers who are looking to add colour and flare into their designs. With a focus on tactile textures, charismatic colours and a fusion between vintage and contemporary, we employ traditional methods of workmanship coupled with a fresh modern approach. From furniture to decor, Maisons du Monde creates inspiring collections for all budgets and styles. Industrial, modern, vintage, classic chic, seaside, country house and exotic - seven styles to suit your personality or make your own! Mix and match them however you like to create a home that's as unique as you are. Founded in 2006, Sweetpea & Willow is the premier destination for high-end interiors that help make your house a home. 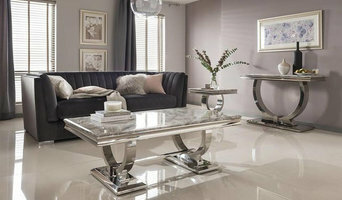 We tirelessly source and hand-pick the best quality furniture to bring our customers a unique collection of home furnishings at affordable prices. Our range includes over 2500 items from luxury sofas and chairs, to beautiful bespoke beds, to stunning mirrors and light fittings, all the way through to elegant dining furniture. In recent years we have developed our very own Handmade in London range which has bought affordable, luxury bespoke beds and sofa's to the global market. All designed in-house, and produced to the highest standard right here in the capital, we can manufacture to any size, any size and any fabric. Since our launch in 2006, our company has achieve exponential growth and we now employ over 10 office staff, with many more out on the road in our branded fleet of delivery vans. This growth has also seen us move offices several times, with our offices and 8000 sq. ft showroom based in Isleworth, West London. Our philosophy is simple: to provide the ultimate shopping experience whether online or in our showroom, offering our customers unrivaled customer service, selection, quality and value. This philosophy has seen us pick up several awards, including Best Organisation Blog at the Amara Interior Blog Awards 2016, The Best Small Online Retailer of the Year at the Online Retail Awards 2015, plus a commendation in the Home & Gardens Category and a commendation for excellence in the Red Ribbon Family Business Awards. Taylor Bespoke has decades of experience & success in bespoke upholstery and joinery. Our core expertise is in upholstery and our London Based factory is staffed with the best Industry professionals – We have upholstered some of the finest homes and commercial premises the UK has to offer. We have spent many years passionately creating quality bespoke furniture with a personal service. All work is personally supervised by our director as we pride our self on our passion and quality workmanship. At Bespoke Nature we are passionate about creating storage solutions for your home. Our client-focused approach means that we work directly with our clients from start to finish. We specialise in made to measure floating shelving which is custom designed to fit perfectly in your space. If you want to get the best use from the space in your home with clean lines and contemporary design, Bespoke Nature is the shelving company that provide high quality floating shelves that offer everything you need. Whether you’re looking to spruce up your alcoves or install strong floating basin counter tops we are able to supply the shelving at right sizes and the required strength. Take a look at our website to browse all options, you can also buy floating shelves made to measure online for alcoves and walls strong enough for any purpose. Williams Ridout design and hand make beautiful high end bespoke furniture, kitchens, wardrobes and specialist joinery items from our workshop situated in North London. All of our products are unique and fully bespoke. We are not limited to a ‘range’ of styles or materials, instead we tailor every product to each client individually. Our cabinet makers use only the highest quality materials to hand make each product to order. Every project is seen through from initial cutting list to completed installation by the same craftsman, we believe this leads to a superior product. We often work alongside architects and interior designers to realise their joinery/furniture visions and engage directly with builders and other trades to ensure a seamless transition between their work and our furniture installations. Williams Ridout was established in 2004 by Alistair Williams and Joe Ridout. Buster + Punch are a London-born interior fashion design label. We work with rare, solid materials to make extraordinary items for everyday use. It all started in a garage in East London where we discovered a passion for making the things we love. From lighting and hardware to custom motorcycles and whisky bars, we now make unexpected and elegant interior products for those who want to live with conviction. Our work is inspired by London’s fashion, music and sub-culture scenes where we collaborate with street artists, bike builders, musicians and fashion designers to inject attitude into our crafted products. Let KUB3 custom-make your home interior exactly as you want it. Everything we do is bespoke in the best sense, conforming to and enriching your own vision. Our highly experienced designers work with you to fully understand your requirements and supply as much or as little of our own expertise and imagination as needed. With modern technology we can capture the thought of your perfect room or furniture and draw it out in three dimensions of wood, metal, glass or other materials, making what was just a dream, real. Choose a superbly put-together kitchen with custom worktops and the latest high-end appliances, in modern or traditional style. Create your ideal bathroom, home office, bedroom – or any room – completely bespoke. Our advanced computer-controlled machinery can create three-dimensional shapes with perfect accuracy, unlocking new potentials of design. Sourcing your interior from KUB3 is like having your own manufacturing facility at your command. We don’t have a high street shop, so our costs are kept reasonable. We can make a staircase, square, spiral, or a special shape, to fit perfectly in your home. We can produce designer furniture that only you will own, because it’s completely unique. You can specify exactly what you want to the last detail, or take advantage of our professional designers to come up with the perfect solution. The finished product is then installed by our own expert team. Discover why many of our clients are architects and designers, who once they discover our services, wonder how they ever did without us. Get in touch today. 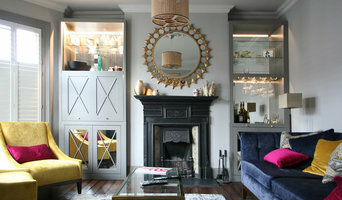 Why should I use a Grange Hill, Essex furniture designer or home accessories professional? Think about what pieces you need or what your vision for the overall look of the room is. Do you have very specific ideas for what furniture you’d like or do you just know the colour palette or the basic type of furnishings and accessories you want? If you have very specific ideas it could be an option to look at Grange Hill, Essex bespoke furniture designers and makers. They will work with you to produce one-of-a-kind pieces to make your ideas come to life. Otherwise, it’s a fantastic idea to hire a Grange Hill, Essex home furnisher to help you choose furniture and accessories to work with your interiors. Professionals with years of experience will have a great eye for picking out the right pieces based on your brief and your room design, saving you the time and stress of hunting down the pieces yourself. However, when not constrained by time, some homeowners can really enjoy the furniture hunting process. Tracking down unique or vintage home furnishings from furniture manufacturers, retailers, car boot sales, showrooms, auctions and home furnishing stores in Grange Hill, Essex can be a real thrill, especially when you find exactly what you were looking for or perhaps something completely unexpected but brilliant nonetheless! If your budget can’t stretch to bespoke, designer or professional-picked pieces, this is also the best and most convenient option. Try browsing through the collections from a furniture manufacturer to see if they have any styles you like, or scour secondhand furniture shops and auction houses if you’re after something with a history. It’s not all about the furniture, though. Your home accessories can provide the finishing touches to any room in the house. Table lamps, plants, cushions, rugs, candles, ornaments, artwork and picture frames are just a few of the accessories you can use to round off the style of your room and add personal touches. It’s easy to find ideas for these smaller furnishings with plenty of Grange Hill, Essex home furnishing stores and their products listed, as well as the furniture designers, manufacturers and makers. Find Grange Hill, Essex furniture designers and accessories manufacturers, showrooms and suppliers on Houzz. Narrow your search in the Professionals section of the website to Grange Hill, Essex furniture and accessories, then choose the nearest area for showrooms and retailers. Or you may want to look through Grange Hill photos to find furniture designs you like and contact the furniture manufacturers and showrooms directly.